The passing of a loved one is a difficult time. If a valid Will has been made by the deceased it will appoint an executor who will look after the administration of the estate in accordance with the deceased’s wishes. A Grant of Probate issued by Supreme Court of Queensland recognises that the Will is legally valid and the executor is authorised to deal with the estate. Depending on the nature of the deceased’s assets or the circumstances of the estate, a Grant of Probate is not always required to administer an estate. Generally, an executor will not require Probate to deal with minor bank accounts and shareholdings of minimal value without the need for a grant. 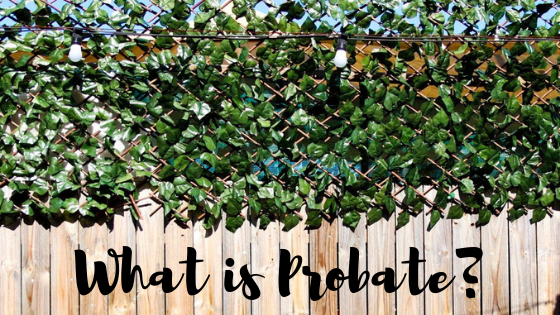 However, even if Probate is not strictly required, it may be prudent to obtain Probate as it will make dealing with the assets easier and provide greater protection to the executor. You are required to advertise your notice of intention to Apply in the Queensland Law Reporter. The Queensland Law Reporter is published every Friday and is available online through their website. A copy of your notice of intent to apply for Probate must be served on the Public Trustee at least 7 days before filing the application. The notice can be sent by post, fax, email or personally delivered. Once the notice has appeared in the Queensland Law Reporter, you must wait 14 days to enable people to reject the application. Any person claiming to have an interest in the estate can file a caveat, if they have evidence the court won’t make a grant until the claim is resolved. Further affidavit evidence may need to be filed, depending upon the circumstances of the application. Once you have completed the above steps you are ready to file the documents in the Supreme Court of Queensland. To reduce processing time, the documents should be filed in the Supreme Court closest to where the deceased lived. If you have recently experienced the loss of a loved one or you have been appointed executor of the estate and would like to discuss your role in detail, please contact our office here to arrange an appointment with one of our solicitors.